Starches have been used to improve the textural properties, substitute fats or increase satiety in yogurts and acidified milk gels; however, studies involving the addition of flours are scarce. The objective of this study was to analyze the effect of skim milk substitution by pre-gelatinized extruded maize flour on the acidification process (changes in pH and rheology), textural properties, syneresis, and microstructure of acidified milk gels (15% w/w solids). To this end, pre-gelatinized flour was used to replace 17%, 33%, and 50% of the skim milk powder. A greater proportion of flour resulted in a faster acidification process and a higher pH at the gelation point, indicating a faster gelation. The substitution of milk by flour up to 33% increased the firmness and consistency of the set gel, but these changes were reversed with greater substitution levels due to the lack of a connected protein structure. In addition, a greater syneresis of the gels was observed as the milk content was reduced, an effect that was reversed by increasing the percentage of solids in the mixture. We would like to acknowledge Matthew Savoian and Niki Minards at the Manawatu Microscopy Imaging Centre at Massey University for the help provided in the acquisition of the confocal images. 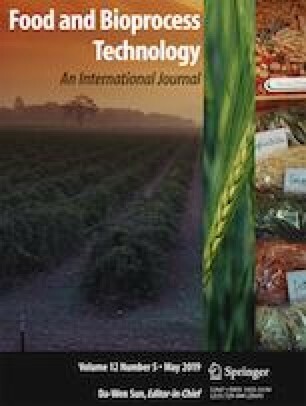 The authors are also grateful to Molendum Ingredients for supplying the raw materials. Laura Roman would like to thank the University of Valladolid for her pre-doctoral fellowship. The authors acknowledge the financial support of the European Regional Development Fund (FEDER) and the Spanish Ministry of Economy and Competitiveness (Project AGL2014-52928-C2).